Provides the business and internal partners with insight, inspiration, clarity and creativity to build meaningful connections through social media and our fan community and provide new ways of thinking about content and engagement. Acts as the key social engagement point of contact for the brand internationally. Serves as the key point of contact with international markets on social media strategy and content development. Oversees global social media and fan engagement/community strategy development and execution across all campaigns; develops strong partnerships with regional and local market digital/social media leads to ensure full compliance with global direction. Cultivates relationships with multi-agency partners and acts as a consultant for integrated work and social strategies. Ensures full collaboration with Global Marketing teams across Creative, Product, Care and Comms to ensure alignment on core marketing messages and programming via social media and our fan community. Delivers smart new strategies that drive value for the business through content and content distribution. Oversees development of monthly and quarterly content calendars to ensure alignment with overall global marketing focus areas. Develops social media, fan community and campaign specific KPIs and benchmarks to achieve and surpass brand goals and objectives. Owns and leads the definition, conceptualization, execution and measurement of social media and fan community engagement programs, including fan engagement, campaigns, contests, promotions, community and advocacy programs along with paid media. Identifies opportunities to optimize content and redeploy as necessary. Demonstrates and showcases best in class social media/fan community and content best practices. Serves as the primary social media/fan community lead internally with cross functional partners. Uncovers insights and develops actionable recommendations for how to move the brand forward in social media and on our fan community, based on performance. Responsible for building and progressing in-house content creation and production capabilities. Manages relationships with established and emerging social platforms, and enhances social media and fan community marketing infrastructure by identifying, onboarding and managing vendors that enable better content marketing, social engagement, measurement and benchmarking. Help foster a culture of ideas, experimentation and collaboration. Superior knowledge of social media marketing universe including, but not limited to, Instagram, Facebook, Twitter, Pinterest, Snapchat, YouTube, Reddit, forums, wikis, blogs and all emerging platforms. Should have working knowledge of social media/digital channels/performance outside his/her own market (i.e. WeChat & Weibo in China a plus). 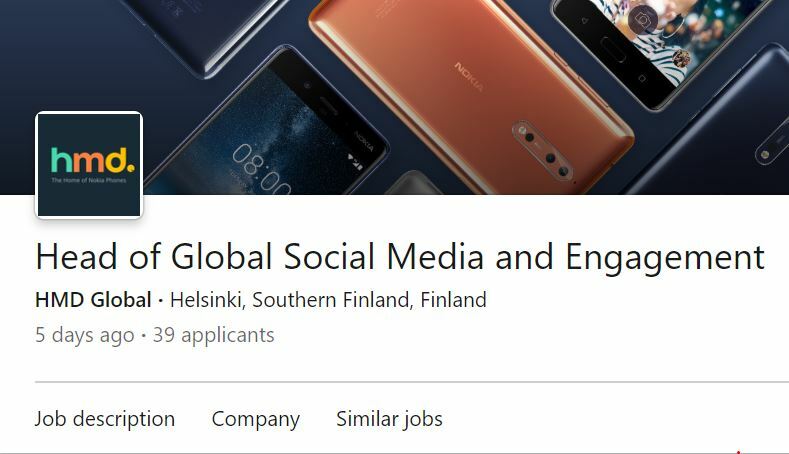 Deep knowledge of digital PR and social/community marketing, with a deep understanding of how to create engaging experiences and articulate them through a multitude of social, fan forums, digital and mobile channels. Deep knowledge of paid media tactics and strategies and how they relate to and can help to amplify social media programs, campaigns and fan engagement initiatives. Knowledge and extreme passion for the latest trends and platforms in social and mobile. Experience with Social/Digital listening, tools, approaches to measurement/metrics, reporting, etc. Familiar with Socialbakers a plus. Demonstrated self-starter with the ability to handle multiple projects, prioritize work assignments, meet deadlines, be flexible, and work independently in a fast-paced environment. Exceptional interpersonal skills with ability to manage up, down and cross functionally. Exceptional project management skills, exceptional communication and presentation skills, exceptional attention-to-detail. Tell us down below, what would you do if you were the Head of social media at HMD?